First, break a 2 by 2 or a 1 by 2 hole in a wall. Place glass panes in that hole. Next, if not already, go outside. 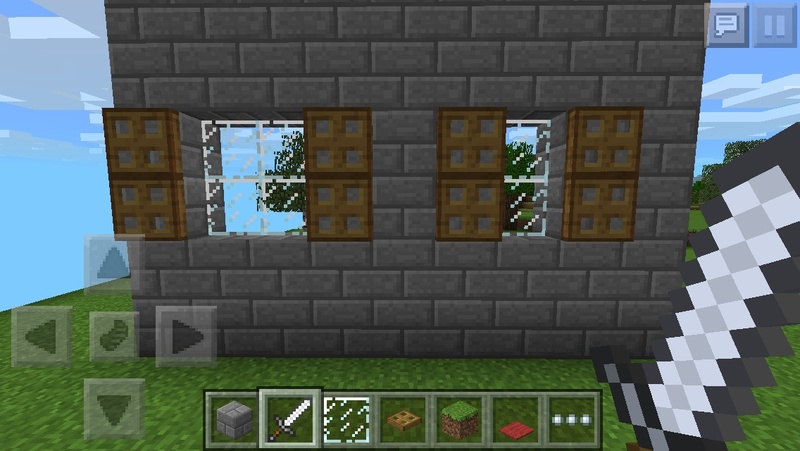 After that, place trapdoors on the wall ONLY to the side of the window. Finally, “close” the trapdoors until they are up against the house like shown in the picture. There you have your shutters!